Strobe was born in a carpool, conceived by a love for the oboe. During commutes from San Francisco to Berkeley to play Swan Lake, Laura and Kris began talking about oboes—Laura plays it and Kris loves it because the oboe was her father’s instrument. They discussed favorite oboe repertoire and chamber music, along with concert ideas. Stephanie and Caroline signed on, and Strobe was created. The chamber repertoire for oboe and strings is tiny. Only 2 pieces have made it into the major repertoire stream: Mozart’s Oboe Quartet, written in 1781, and 151 years later, Benjamin Britten’s Phantasy Quartet, written in 1932. We are long overdue for music written specifically for oboe and strings. Our mission is to increase the repertoire for this combination. We have been awarded a grant by the Zellerbach Family Foundation and the William and Flora Hewlett Foundation to perform Visions and Visitations by our composer in residence, Vincent Russo. As part of the grant, he will present the story behind the themes and why he put them into music. Laura Griffiths is Principal Oboe of the San Francisco Ballet Orchestra and was formerly Principal Oboe of The Cleveland Orchestra and the Rochester Philharmonic. She has been guest Principal Oboe with several major orchestras, including the San Francisco Symphony, the Los Angeles Philharmonic, and the Boston Symphony Orchestra. She was Acting Principal Oboe of the San Francisco Opera for three years. She is a graduate of the Eastman School of Music. Stephanie Bibbo has returned from Bogotá, Colombia, where she was Adjunct Professor of Chamber Music at the Universidad de los Andes, and will be rejoining us in May. She is a member of Opera Parallèle, and has performed with orchestras and chamber music ensembles in venues throughout Europe and the United States, notably Boston’s Symphony Hall, San Francisco’s Davies Symphony Hall and the Library of Congress in Washington D.C. She has performed many different styles of music from Baroque to contemporary, as well as rock, soul, and traditional Persian music. She received her Bachelor of Music in violin performance from New England Conservatory, and her Master of Music and Professional Studies Diploma from the San Francisco Conservatory of Music, under the private instruction of Ian Swensen, where she was honored for her musicianship in the New Music Ensemble. Besides her love for performance, Stephanie has a great passion for teaching students of all ages. Former Oregon Symphony violinist Alicia Yang currently performs with such renowned ensembles as the San Francisco Symphony, Philharmonia Baroque, and the Sun Valley Summer Symphony. She has concertized through Europe and the US, including with such lauded orchestras as the Kennedy Center Opera, the Seattle Symphony, and the Orquesta Sinfonica de Castilla y Leon (Spain). Ms. Yang specializes in historically-informed violin performance, and has appeared with period-instrument ensembles across the US including the Smithsonian Chamber Players, Carmel Bach Festival, and American Bach Soloists, and the Baroque string band, Archetti. Her training from the Oberlin and New England Conservatories spans genres from Renaissance to contemporary, and she has recorded a contemporary music album on the Opus One label. Caroline Lee has performed throughout the US and Canada as an orchestral player as well as a chamber musician and recitalist. She is a member of the San Francisco Ballet orchestra and plays with the San Francisco Opera Orchestra. She was a member of the Kansas City Symphony for eight years as well as performing regularly with the Chicago symphony and the Philadelphia Orchestra. An active chamber musician, she has performed in Banff, Domaine Forget, and the International Musical Arts Festivals, and has collaborated with members of the Tokyo, Cleveland and Colorado quartets, as well as artists such as Eric Friedmann, Steve Dann, Jesse Levine, Heiichiro Ohyama, and Richard Stolzman. She is a member of the Eos Ensemble, performing a wide range of works for chamber ensemble within the San Francisco Bay Area. Caroline is also the Founder and Artistic Advisor of Community Concerts at Epworth in Berkeley: www.communityconcertepworth.org. She received her Bachelor of Music degree at the University of Michigan and her Masters Degree and Artist's Diploma from Yale School of Music, studying with Heiichiro Ohyama, Donald McInnes, Yizhak Schotten, and Jesse Levine. Krisanthy Desby has been active in chamber ensembles and orchestras in North America, Europe and South Africa. She founded the Laurel Ensemble, which concertized throughout the Bay Area from 2005 to 2010 and premiered new works at Hong Kong’s Musicarama Festival in 2009. Ms. Desby has been Assistant Principal of both the Napa Valley Symphony and the Santa Cruz Symphony, and coached young chamber and orchestral musicians as a String Specialist at University High School. During the summers, she is a member of the Grand Teton Music Festival, and has taken part in the Mendocino, Midsummer Mozart, Scotia and Neuberg Kulturtage festivals. She played with the Houston Symphony under Christoph Eschenbach, as well as the Houston Ballet Orchestra and the Houston Grand Opera. She holds a Bachelor of Music degree from Peabody Institute and a Masters Degree from the Shepherd School at Rice University. Her teachers included Nathaniel Rosen, Stephen Kates, Shirley Trepel and Aldo Parisot. She formed Strobe to spotlight music for strings and oboe. Alexis Alrich is a composer of vocal, chamber and orchestral music. She was an instructor of composition at the San Francisco Conservatory of Music Preparatory Division from 1989 until 2007, and a founding member of the San Francisco Composers' Chamber Orchestra, working with them as composer, conductor and pianist. She served as Director of the John Adams Young Composers Program at the Crowden Center for Music in the Community. She was also one of the hosts for the University of San Francisco’s KUSF Radio program, Classical Salon, for 4 years. Ms. Alrich is inspired by the natural world and has a strong interest in the wider community. She was selected twice to be a resident at the artists’ retreat I-Park in Connecticut, received a Continental Harmony grant from the American Composers Forum in 2000, and Subito grants in 1998, 2004 and 2008. Highlights of her career include a performance of her Marimba Concerto by Evelyn Glennie and the City Chamber Orchestra of Hong Kong, premiere of her Erhu Concerto by the Shanghai Chinese Orchestra in Shanghai, China, and dance scores for Cambodian choreographer Charya Burt performed at the San Francisco Ethnic Dance Festival and the Ashland Shakespeare Festival. 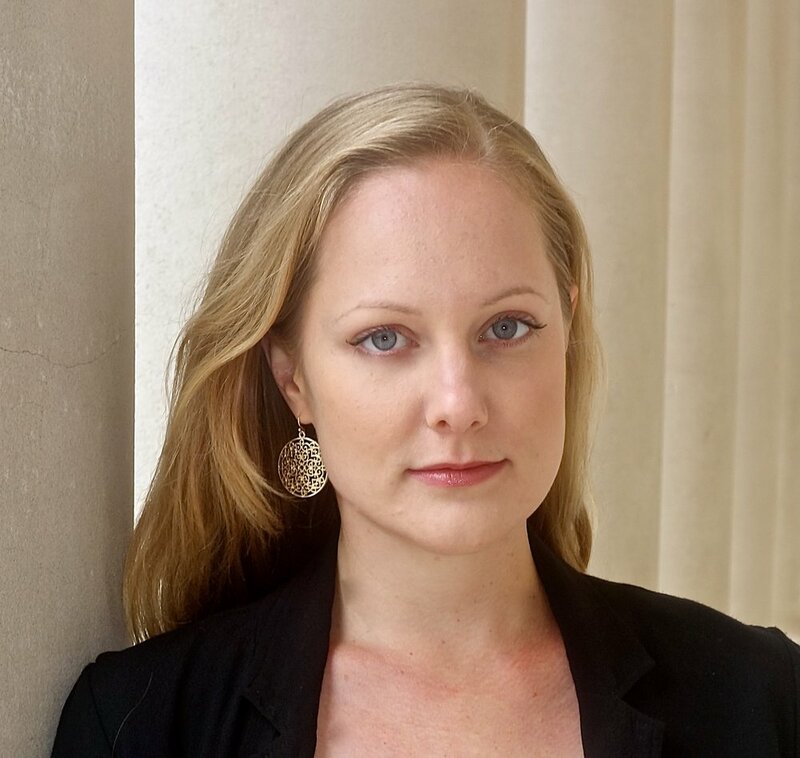 Ms. Alrich studied composition at the New England Conservatory of Music, California Institute of the Arts, and got her master’s degree in composition with Lou Harrison at Mills College. Harrison introduced her to Asian music through Javanese gamelan which became a significant influence on her style. Ms. Alrich lived in Beijing and Hong Kong from 2007 until 2017, after which she returned to California. She is currently a member of the Nevada County Composers’ Cooperative in Grass Valley, CA. As Ms. Alrich began working on her piece for Strobe, a new idea took over. Her first inspiration was a reference to harp and strings played in Ancient Greece. But while she was composing, something else took hold: synesthesia, a rare condition in which colors are associated with particular notes and tonalities. She sees colors as she writes, and the piece took shape around them. Other synesthesiacs in music include Rimsky-Korsakov, Franz Liszt, and Scriabin. Messiaen was inspired by an artist he knew with the condition, and thought of his music in terms of color. Water Colors, Ms. Alrich’s new work, depicts the colors and texture of water. As part of the project, we will perform a draft of two of the movements at our concerts in November, 2018. Vincent Russo is a composer, arranger, orchestrator and conductor residing in San Francisco. His musical styles include the broad range of today's musical genres--Classical, Jazz, Broadway, Rock and Electronic, among others. Mr. Russo earned a Bachelor of Music in Music Theory, studying with Kamran Ince and Christopher Rouse, and a Doctor of Musical Arts in Orchestral Conducting at the Eastman School of Music. He also earned certificates in New Media and Electronic Music from the Berklee College of Music, as well as a diploma in Media Composition from Music for the Media, based in Los Angeles and London. His orchestral compositions and arrangements have been performed by the Colorado Symphony, the Norwegian Radio Orchestra and the Breckenridge Chamber Orchestra. His large choral work, Ancient Yuletide Songs and Carols, was premiered in Canton, Ohio, with Mr. Russo at the podium. Mr. Russo has over one hundred musical tracks with production music library publishers, which are distributed internationally for use in TV and film. His music can be heard on Law and Order, Hawaii Five-0, Dateline, Dr. Oz, E News, and Access Hollywood. Strobe played drafts of Vincent Russo's new piece for oboe quartet at its concert as part of the collaboration between composer, performers, and the music. At the premiere in May, 2018, Mr. Russo introduced each movement and projected paintings above the quartet that represented the artwork or inspirations for the visions and visitations referred to in the work: Joan of Arc, Ludwig Meidner, Abraham Lincoln, and Jakob Boehme. We are very grateful to the Zellerbach Family Foundation for their support, making this work possible. A native of Los Angeles, Neal Desby first became serious about composing music during high school. While studying piano and oboe, he came under the influence of Jerry Grant, a successful composer of both concert and film music. He received his Bachelor and Master of Music degrees at the University of Southern California, and continued studies with Lukas Foss and William Kraft. Mr. Desby continued at USC as a professor of Composition, Theory and Analysis. He works with a wide range of musicians in both classical and non-classical genres as a composer, orchestrator and conductor in TV, film and commercial music fields. His orchestral work, Spiritual,was premiered by the Brevard Symphony Orchestra, and his Tango a Trois was performed to great acclaim in Europe and Asia by the Blue Rose Trio. Musings is nostalgic in mood, highlighting the lyrical aspects of the oboe.